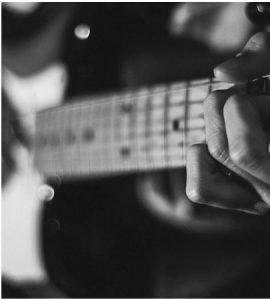 Learn more about JD Guitar Tuition, Josh’s experience of playing and teaching over the years and what to expect from your guitar lessons. Examples of Josh playing RGT exam pieces and other popular songs on the guitar as well as a range of tutorials..
Want to book your first guitar lesson or have a question? Get in touch here and start playing guitar! JD Guitar Tuition offers guitar lessons in Leeds and worldwide via skype. Specializing in introducing complete beginners to the world of playing the electric and acoustic guitar. From playing your first chords to creating your own songs we will cover music theory, right and left hand techniques, improvisation, how to play with other musicians and much more. Whether you are already a student and want to explore the sites learning materials or are considering booking your first lesson, enjoy exploring the site and feel free to use the contact form for any enquiries you may have. I had never played a musical instrument before and had no idea about music theory. Thanks to lessons with Josh I can play along with songs that I never thought I would be able to play and have started a band creating my own songs! He is very patient and creates a fun and relaxing environment to learn in. His lessons are always clear and easy to understand.